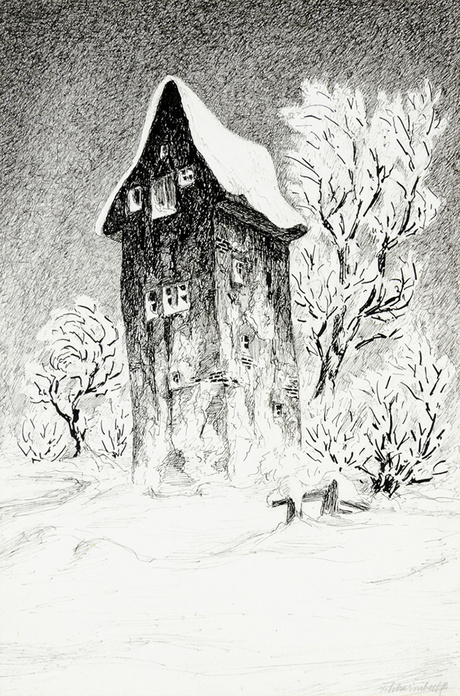 This is a preliminary drawing for Plate 4 of Schwimbeck's cycle of eight etchings "Phantasien über ein altes Haus" ["Fantasies on an Old House"]. For one of these etchings, see below. 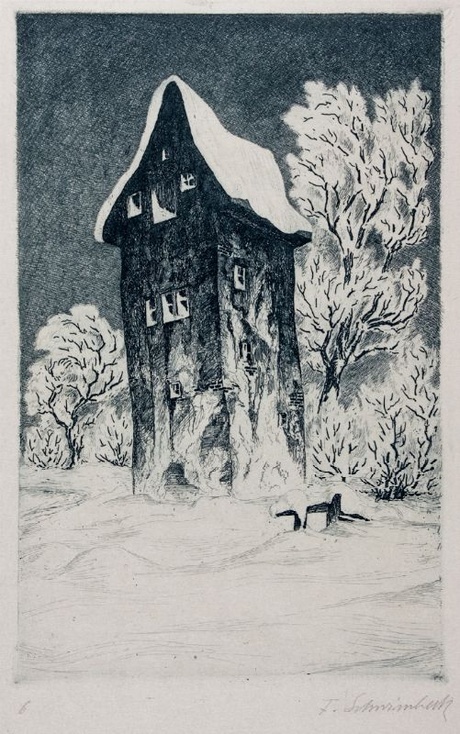 signed and dated lower right: "F. Schwimbeck 1927"
This is a preliminary drawing for Plate 8 of Schwimbeck's cycle of eight etchings "Phantasien über ein altes Haus" ["Fantasies on an Old House"]. For the etching based upon this drawing, see below. 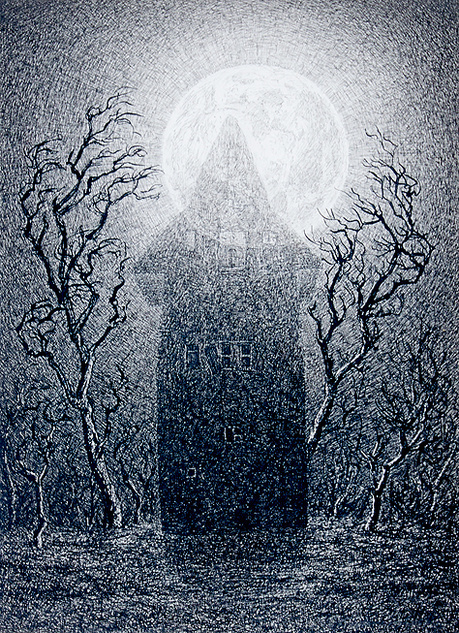 signed in pencil lower right: "F. Schwimbeck"
This is Plate 8 from a cycle of eight etchings on the theme of this strange house. 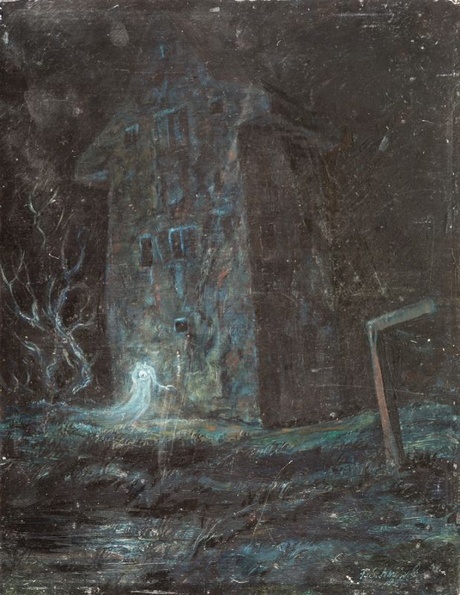 The portfolio, entitled "Phantasien über ein altes Haus" ["Fantasies on an Old House"], was published in in Munich in 1918 with text by Hans Ludwig Held. Daulton Collection contains the artist's own studio proof set of the entire portfolio.